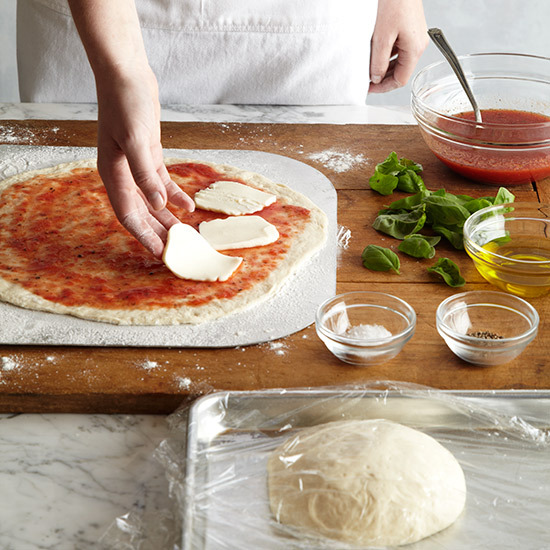 Follow these easy steps to make pizza with a chewy-yet-crisp crust, a well-seasoned raw tomato sauce and fresh buffalo mozzarella cheese. 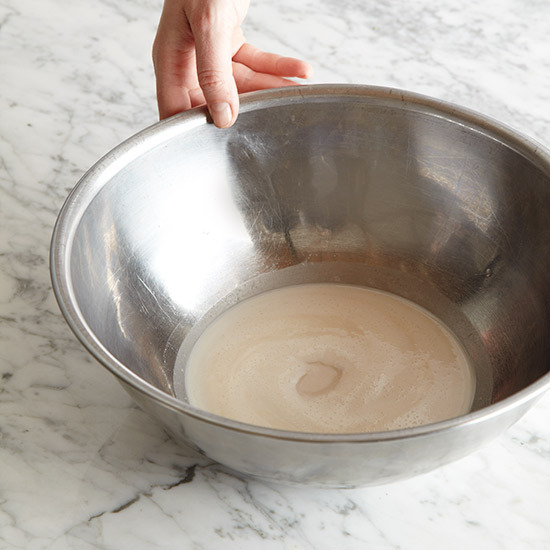 In a large bowl, mix the yeast with 1/2 cup of the warm water and the sugar and let stand until foamy. Add the remaining warm water, the flour and the salt and stir until a soft dough forms. 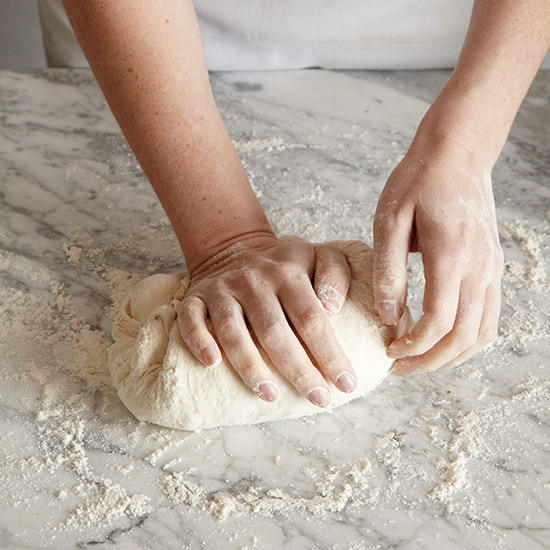 Turn the dough out onto a well-floured work surface and knead, adding flour as necessary, until a silky, but soft dough forms. 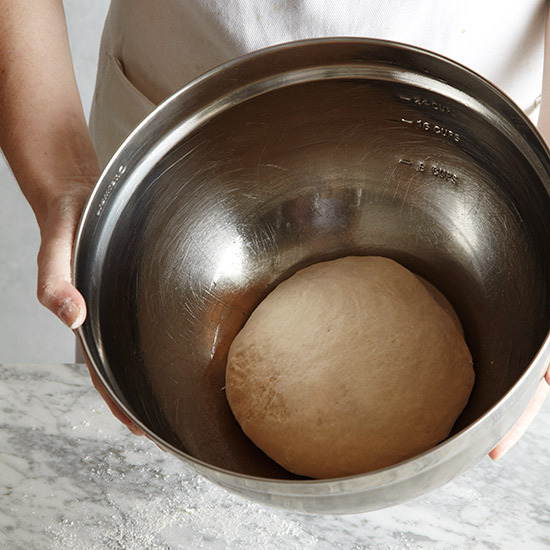 Transfer the dough to a lightly oiled bowl and brush all over with olive oil. Cover the bowl with plastic wrap. 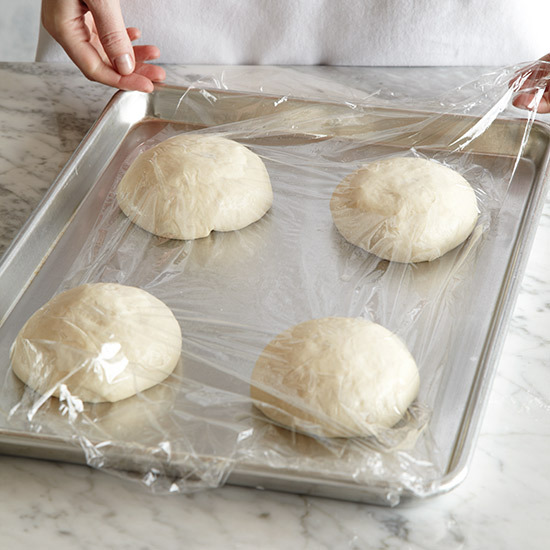 Let the dough rise in the refrigerator overnight or for up to 3 days. Divide dough into 4 pieces and form each into a ball. Rub each ball with oil and transfer to a baking sheet. Cover the balls loosely with plastic wrap and let rise in a draft-free place for 1 hour. 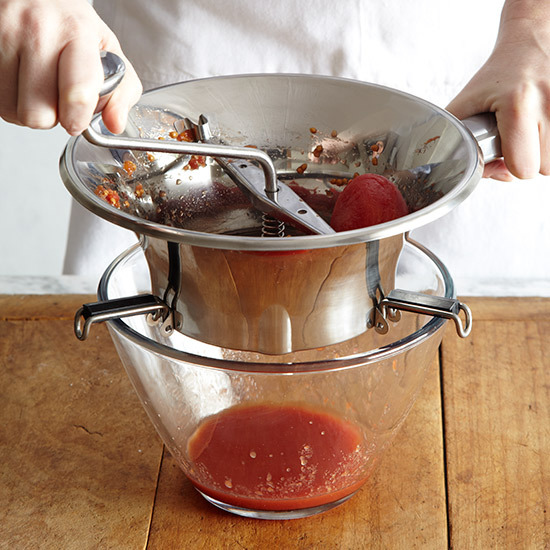 Pass the tomatoes through a food mill set over a medium bowl or pulse them in a food processor until coarsely chopped. Stir in oregano, 1 tablespoon of olive oil, and salt and pepper. 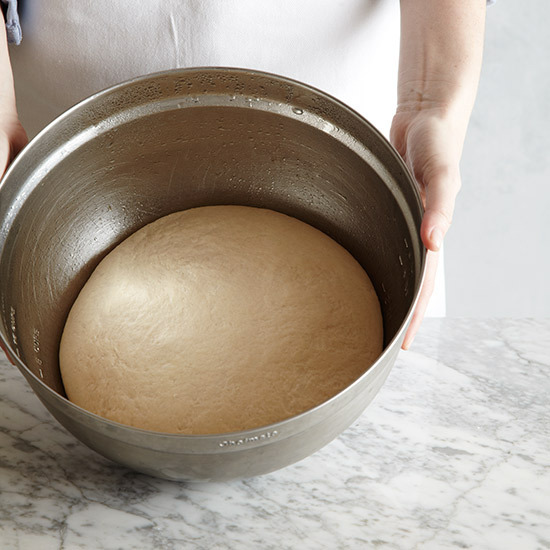 On a lightly floured surface, stretch one ball of dough into a 13-inch round; transfer to a floured pizza peel, adding flour where the dough sticks. 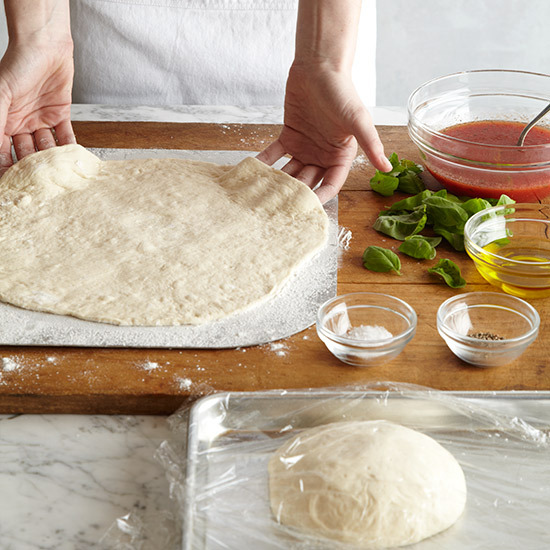 Spread the tomato sauce over the dough to within 1 inch of the edge, then top with cheese and drizzle with olive oil. 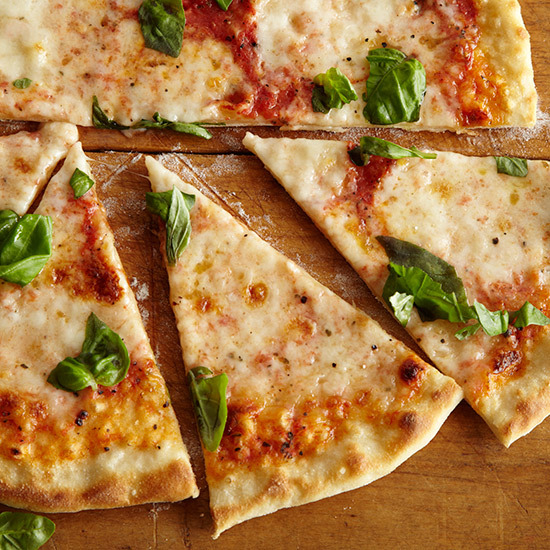 Season the pizza with sea salt and pepper. 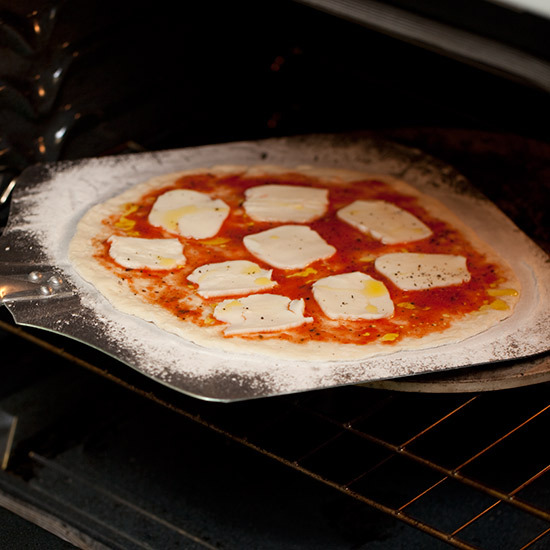 Bake until the bottom is charred and the cheese is melted. Scatter the basil on top and let stand for 3 minutes before serving.